This Slack model sports a sleek cocobolo handle and a satin finished VG-10 steel blade. 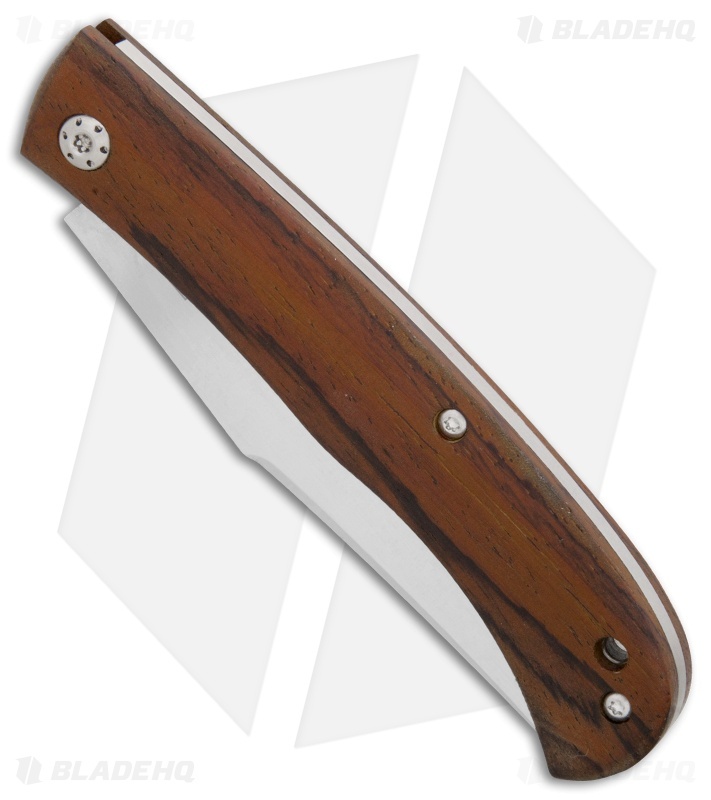 The Boker Plus Slack was designed by French pocket knife designer Raphael Durand. This slim gentlemen's carry knife was inspired by the traditional Navaja pocket knife from the Mediterranean region. 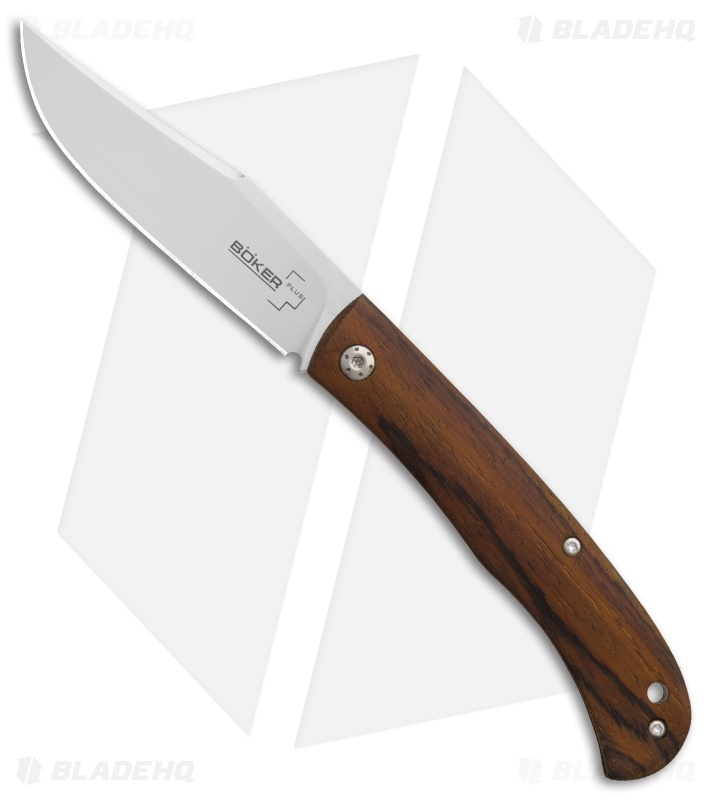 The slender handle is made from cocobolo with a stainless steel frame and a sturdy slip joint lock. It has a VG-10 steel blade with a satin finish, flat grind, and a plain edge. 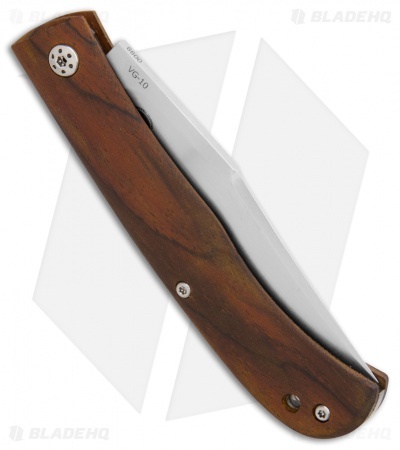 VG-10 steel offers a strong, corrosion resistant blade. Sleek Raphael Durand design for stylish everyday carry. 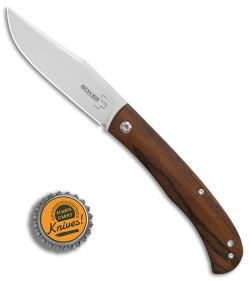 Slim cocobolo handle provides a comfortable grip with none of the bulk.